Me? Grill outside in Arizona… in June? Well, O.K. Just for you. 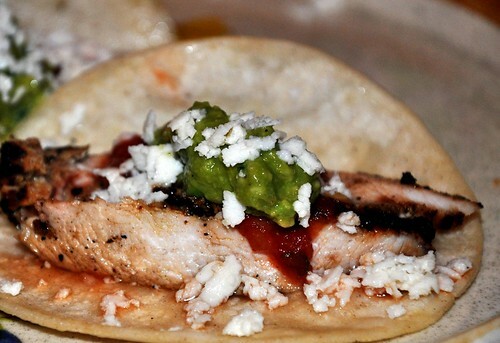 These Pollo Asado Tacos are actually one of my brother’s BBQ specialties. He was nice enough to fight the Arizona heat and fire up the grill to cook his famous grilled chicken tacos and show us how Southwest grilling is really done. His marinade adds just the right amount of citrus and chile to turn the chicken into a light and summery dish with just a little kick. He even introduced me to a new chile that I didn’t even know existed. While making a batch of quacamole, we realized that there was only one jalapeno! How is that possible? Not to worry, my sister-in-law pulled out a packet of tiny little chiles from her pantry. Chile Tepin or Chiltepin. These cute, little chiles have just become my favorite pantry item. The chiles are dried and easy to keep on hand. They are tiny so that you can choose just the right amount of heat to add to your dish. You won’t have half of a chile leftover to liquify in your refrigerator. And, more importantly, they are one of the official chiles of Yucatan. These chiles are like keeping a Cancun vacation in your cupboard! O.K. Maybe not. But I can dream, can’t I? Try this recipe then head over to the “Get Grillin’ with Family Fresh Cooking and Cookin’ Canuck, sponsored by Ile de France Cheese, Rösle, Emile Henry, Rouxbe and ManPans“ event for more fantastic recipes that are perfect for your next BBQ. 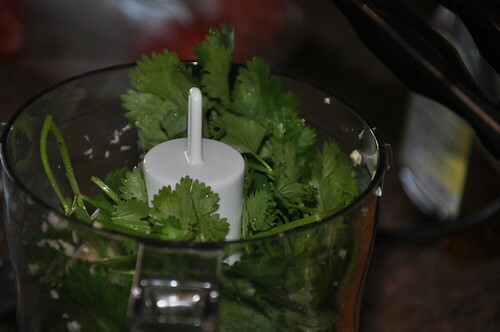 Place garlic, salt, pepper and cilantro in food processor and pulse until it makes a loose paste. 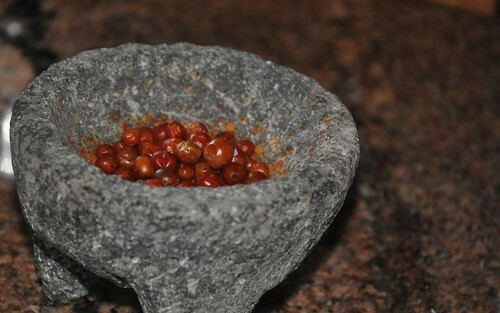 Place chiltepin in a mortar and crush until fine. Add to paste. Scrape into a bowl. Add lime juice, orange juice, vinegar and olive oil. Stir. Add the chicken to the mixture and marinade in the refrigerator for about 30 minutes. Start the charcoal and grill the chicken when the flames have gone down. 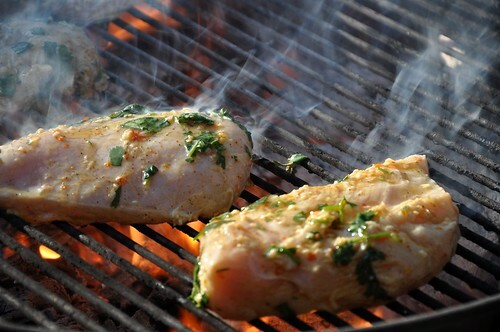 Grill until chicken is cooked through. No rare chicken, please! Place garlic, cilantro, salt, pepper and pulse to make a paste. Scrape paste into a bowl. 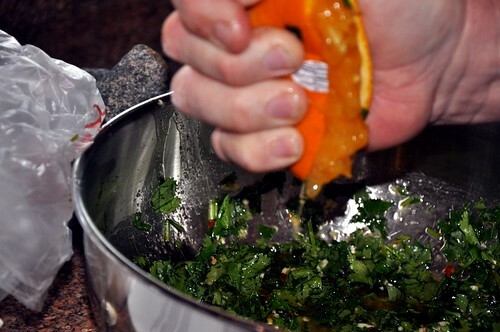 Add lime juice, orange juice, vinegar and olive oil. Stir until well mixed. Crush chiltepin with a mortar and pestle then stir into the marinade. Add chicken and marinate in the refrigerator for about 30 minutes. 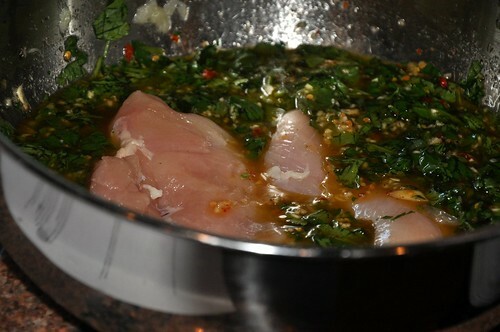 Not too long or the citrus will cook the outside of the chicken similar to ceviche. 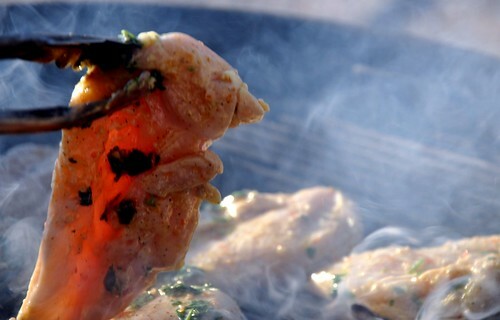 Start charcoal while chicken is marinating. Grill chicken until cooked through. Rest chicken for about 15 minutes. Slice chicken into 1/2 inch thick strips. Heat tortillas to soften. To make tacos, stack two warm tortillas together. Add two strips of chicken and garnish with cheese, salsa, guacamole and shredded cabbage on each stack of tortillas. Serve. Beeeeeeeeeee-ooootiful photos, Sandy! Great post. Makes me anxious to get grilling! Total YUM! This looks wonderful! I think I just found my new favorite foodie website. I’m from New Mexico and I live in Japan (!). Oh how I miss the “tastes of home”. 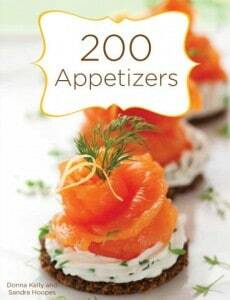 Can’t wait to try out some of these wonderful recipes. Thank you so much for sharing, I really appreciate it! Lisa – Arigato! And please come back often – I love the idea of connecting with someone from halfway across the world! Thanks Marla, Your “Get Grilin’ Summer Event” has been a lot of fun. Thanks for hosting! These pictures look wonderful. I’m excited to try this recipe… Maybe make some pico de gallo with it!